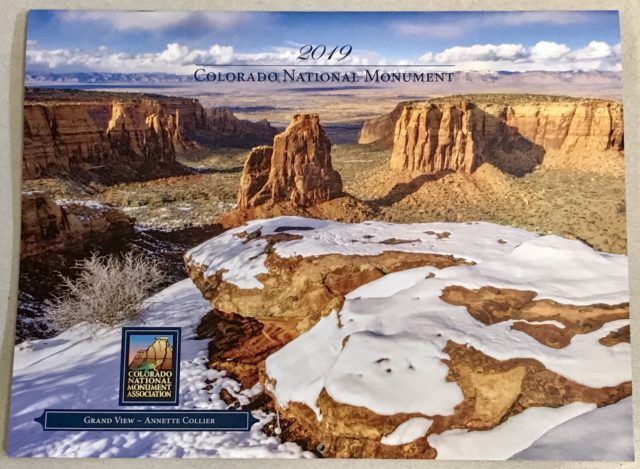 It’s funny, I almost didn’t send any photos in for the annual Colorado National Monument Calendar this year since I wasn’t really happy with most of the photos I took at the Monument last year. I guess it’s a good thing I ended up sending in a few photos at the last minute since four of the photos I submitted were used in the 2019 calendar. Two of them are large monthly photos and two are smaller insert photos. I’ve included a couple photos below that I took with my iPhone of the calendar since I just picked up my copies today. 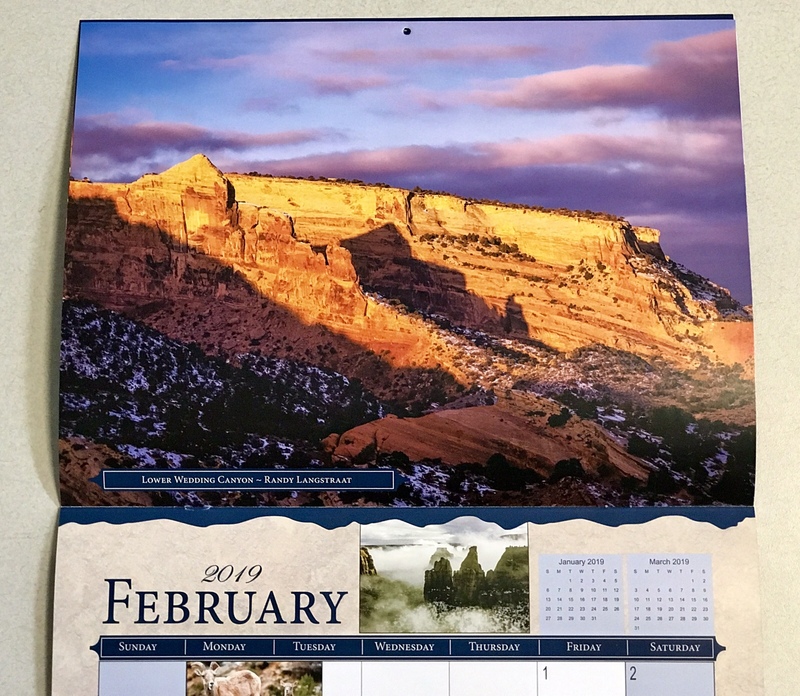 The large February photo was taken on New Years Day in lower Wedding Canyon. 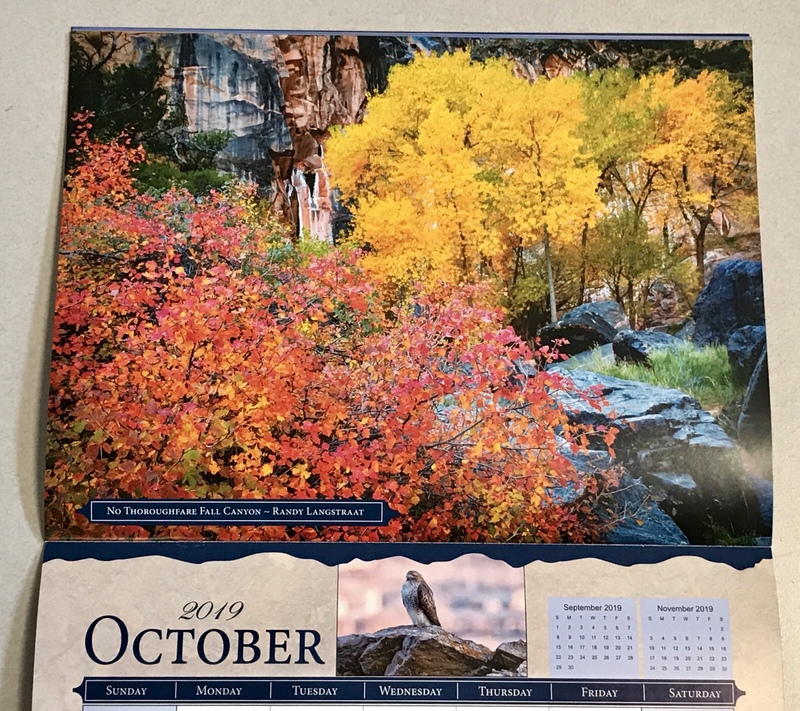 The large photo for October was taken on my annual fall hike into No Thoroughfare Canyon when I happened to catch the colors at their peak! 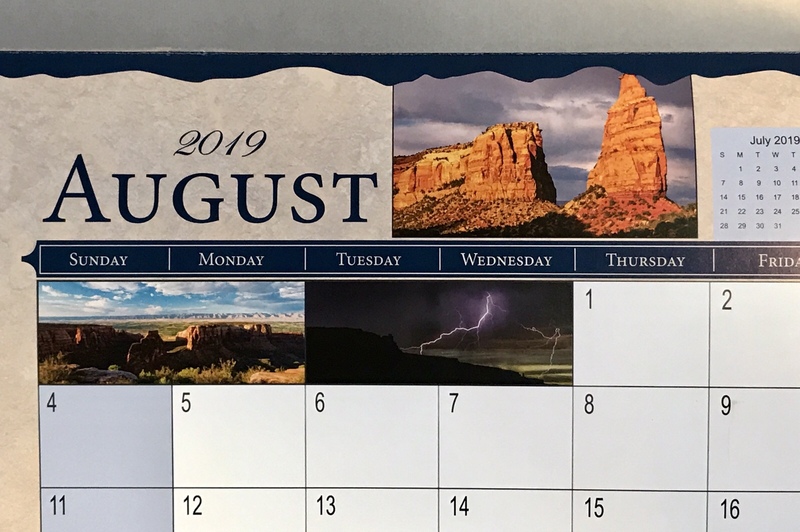 The small photo to the right of August is mine from a hike into upper Wedding Canyon the previous summer. 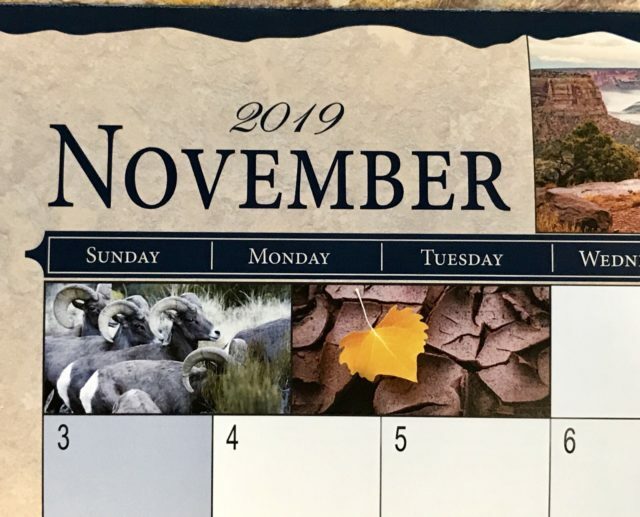 The small photo below November of the yellow cottonwood leaf on cracked mud was also taken during my fall hike into No Thoroughfare Canyon last year.